Surprise weddings are one thing – but what about tying the knot on the other side of the world in the middle of a Shetland winter? 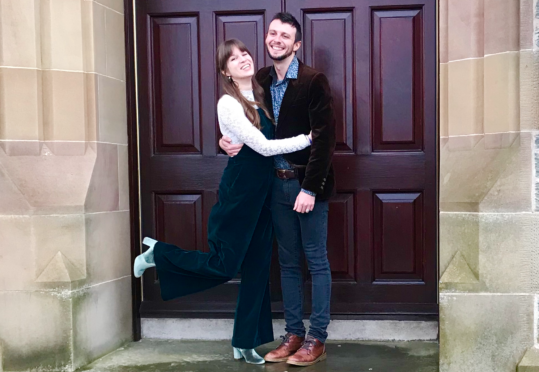 That was the case for an Australian couple who turned a normal family holiday into a trip they would never forget after deciding on their visit to the UK to get married in Lerwick. Brigid Krause and Shane Eaton, both 26, spent their wedding night with a handful of family watching a fire festival procession in the company of revellers dressed as “Vikings and Pikachus” after tying the knot earlier that day at Lerwick Town Hall. She said: “Trip underway, Christmas and New Years – very exciting and celebratory time of the year, and Shane and I thought…why don’t we get married? She said: “We only told my mum the night before, when we got home from the pub that she may want to get a bit spruced up in the morning because she had a wedding to go to at 11am. It took a while to sink in before she realised we were talking about ourselves.